By all logic the Gold Cup should not produce the best finish of the meeting, but Royal Ascot's oldest and most prestigious contest conjured up another thriller yesterday when Stradivarius, the 7/4 joint-favourite, stayed on best of all to beat Vazirabad and Torcedor at the end of a three-way scrap through the last quarter-mile. For Frankie Dettori, a Gold Cup old hand, it was a sixth win in the race and his 60th Royal Ascot winner in total. But for his long-time ally John Gosden, a man who has ticks in the boxes besides most of the world's great races, it was a first. Those who doubted Stradivarius's stamina will concede nothing stayed the trip better than Bjorn Nielsen's home-bred four-year-old. For much of the race, Dettori and his chestnut mount sat in midfield with an eye very much on Order Of St George, the other joint-favourite, trained by Aidan O'Brien. But the 2016 winner, the eventual fourth, started coming under pressure half a mile out just before Jessica Harrington's Torcedor swept to the front on the bend seemingly full of running. But as soon as Dettori, playing his cards late, had him covered, the Aga Khan's grey Vazirabad, which has to be delivered with the second post, appeared on the scene. He might have briefly drawn level, but he could not go past Stradivarius which won by three quarters of a length and a head. 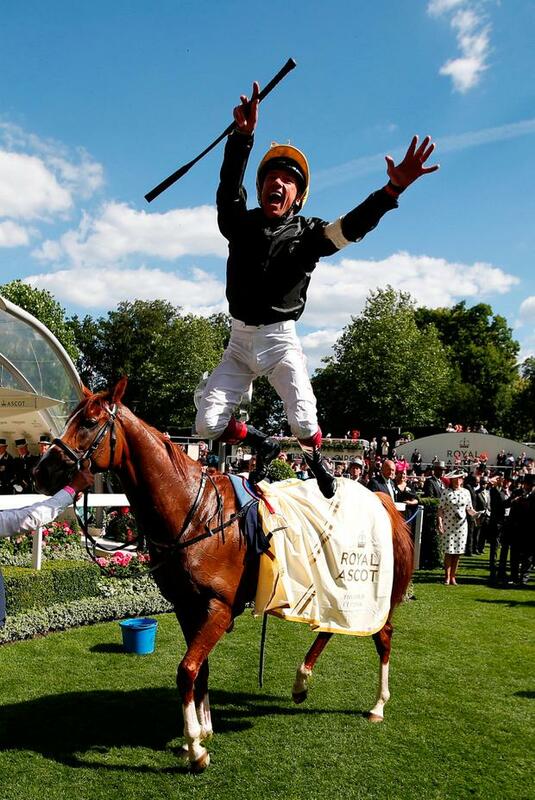 It has been a topsy-turvy week for Dettori; topsy with three winners on Tuesday, turvy when a brace of short-priced favourites were stuffed on Wednesday, but Stradivarius restored him to full ebullience. "This is my sixth Gold Cup, my 60th winner and I'm only 47 - don't mix up the numbers," he laughed. "I still haven't got over yesterday, but let's enjoy it. Three horses battling out the last furlong - that's what people come to see." There was Group One consolation for the Ballydoyle team when Magic Wand dominated her rivals in the Ribblesdale Stakes. Michael Verney There are very few trainers who have the distinction of notching Cheltenham Festival and Royal Ascot winners and Jessica Harrington bids to add her name to that select list with Alpha Centauri a leading fancy in today's Group One Coronation Stakes (4.20). Independent.ie Newsdesk Stradivarius claimed victory in a thrilling renewal of the Gold Cup at Royal Ascot. Bairbre Power The all-woman racing syndicate 'It's All About The Girls' are heading to Royal Ascot tomorrow hoping for victory with Chicas Amigas.